What happened to January? One minute I’m wondering how I’ll ever get back up to speed for the start of the spring term at school – next thing I know, I’m receiving e-newsletters full of the joys of February poetry events! I haven’t set myself a daily writing goal but this month I have managed to redraft some poems-in-progress, resurrect one or two others and generate some new writing ranging from a few lines in my notebook to a fledgling poem in response to an online workshop assignment. My first poetry foray of the year was for a brief chat with DJ Tony Wadsworth on Radio Leicester’s Saturday morning programme. By all accounts, I didn’t come across as a blithering idiot, I managed to turn questions around to mentioning some of what I’d planned in my head/on post-it notes. 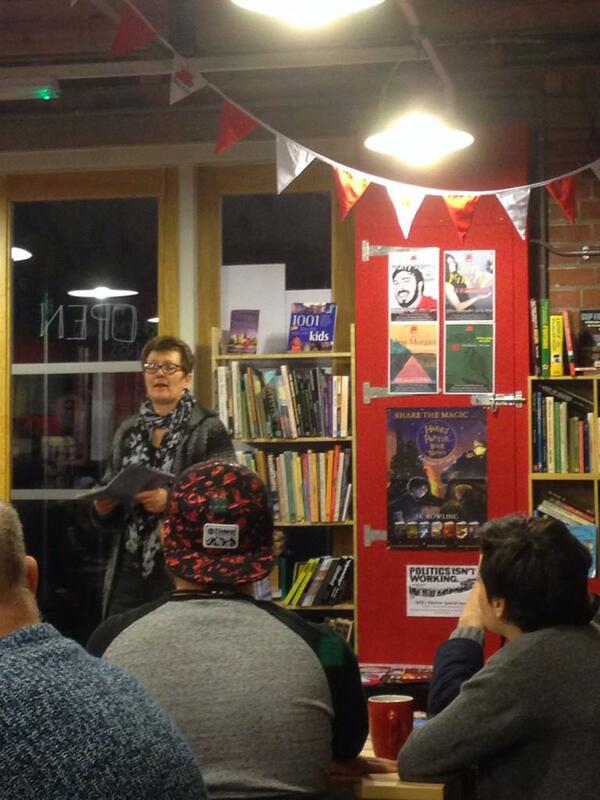 And I read the opening poem from my pamphlet. My first featured reading of the year was as supporting ‘act’ for talented performance poet (and Leicester’s own) Jess Green, at Word! on 6th January. I cut my teeth at the open mic there, five years ago or thereabouts, so it was a real pleasure to take the floor for a 10-minute spot in front of an audience of friends and many familiar faces. 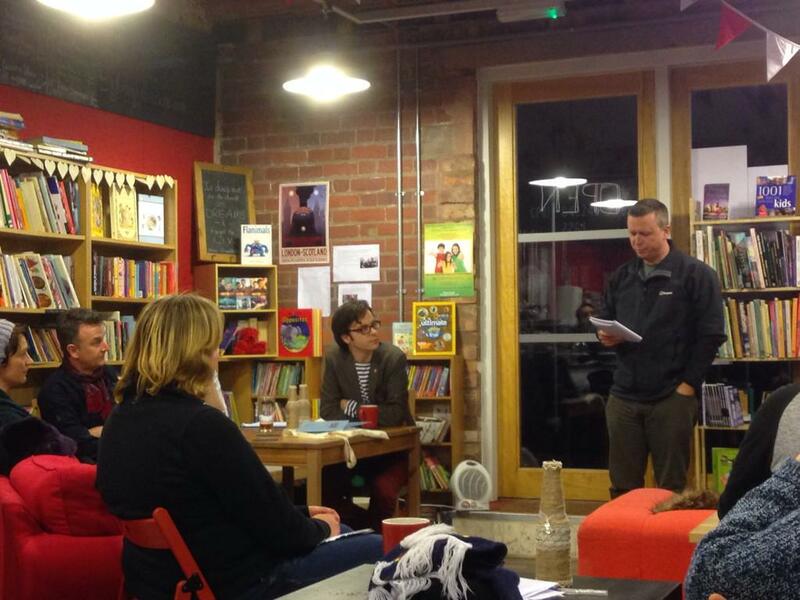 It’s no coincidence that this monthly spoken word event (the longest-running in the Midlands) gets an honourable mention from several Leicestershire poets on Robin Houghton’s first Regional Poetry Focus blog post. I relaxed and enjoyed the open mic slots in the second half, followed by Jess’s accomplished performance of Burning Books, Restart and Dear Mr Gove. I sold a few copies of my pamphlet, too (not bad, considering most of those assembled already have a copy). I attended the first Poetry Business’ January writing day, too. I’ve a feeling that my trips to Sheffield will be more of a regular thing, this year. I thrive on workshops anyway, but I feel privileged to spend a day in the company of the talented wordsmiths that comprise the PB regulars. And it’s good to meet, face-to-face, poets whose blogs/poetry/social media quips and commentary I enjoy. John Foggin (The Great Fogginzo) and Carole Bromley, for instance. My first 2015 poem acceptance (yay!) came via email from The Lampeter Review. It’s one I wrote as a result of participating in my first Poetry Society open online workshop: Kim Moore’s Put a Poet in your Pocket. It will be published in issue 11 (not sure when), on the theme of Magical Realism. Not a first, this, I’ve booked a place and my return rail ticket for a five-day poetry residential in Cumbria. It’ll be my third (it’s the third one, too). Co-run by Kim Moore and Jennifer Copley, this year’s theme is ‘The Stories we Tell Ourselves.’ I have to tell you it’s now fully booked, though. I can’t wait for the Easter holidays! Before I sign off, here’s what I’ll be poetry-doing first next month: a featured reading alongside Matt Merritt at The Big Comfy Bookshop in Coventry on Wed 4th Feb (only five days to go!). It’s a joint Fire & Dust and Nine Arches Press event. Open mic slots are available, too. I’d love you to come and join us if you’re local, willing and able. Or if you fancy a change from your usual haunts. Details here.